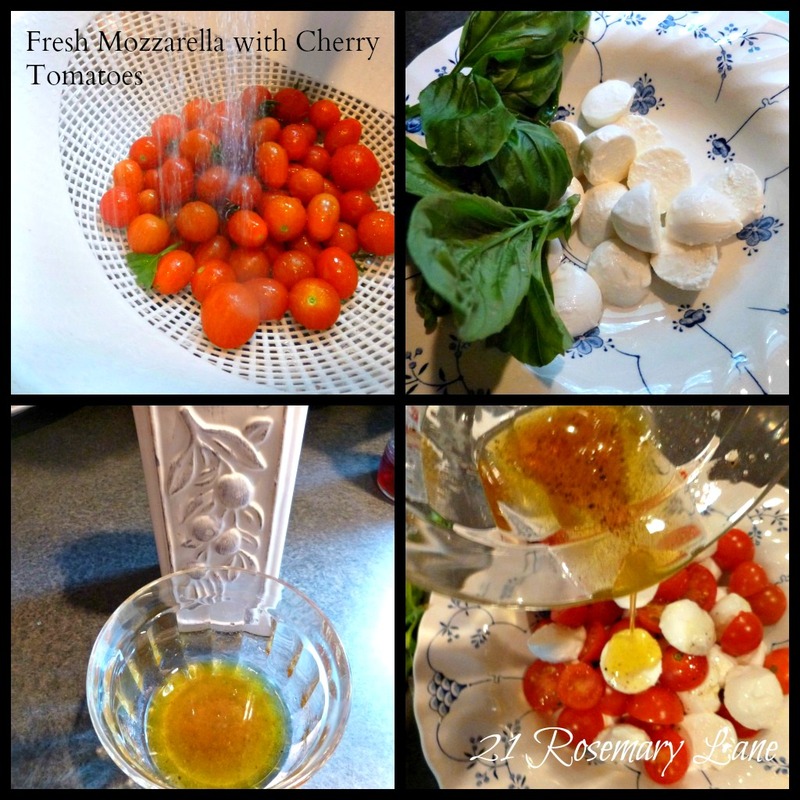 Toss first 3 ingredients together. Then whisk together the oil and vinegar, pour over the tomato mixture, toss, season with sea salt and cracked pepper and toss again. Garnish with a basil sprig and you are done! I love this salad... was first introduced to it by my co-worker. Can't wait for my tomatoes to ripen and I hope my basil will still be producing by that time. This looks delicious! Your family is so blessed! You also take the most beautiful photos, magazine quality I say! I would love to spend a day learning from you! 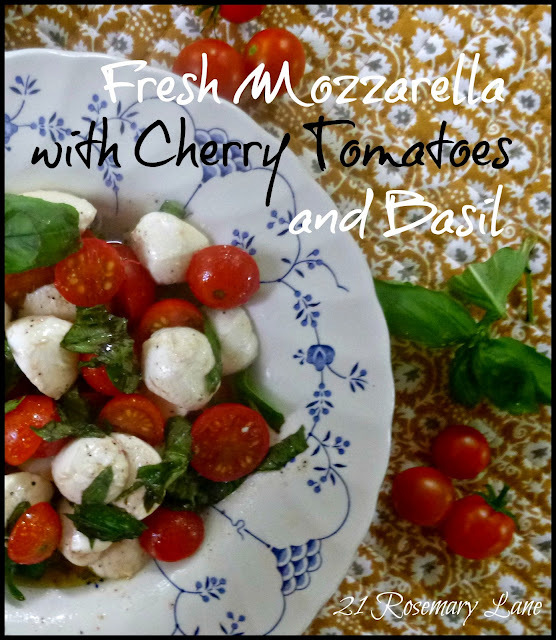 tomatos and mozzarella are hard to top. Thanks for sharing on BeColorful. I love this flavor combination! And so pretty too!